Setting Up Your Caravan For Free Camping - The Help You Need From Those Who Are Doing It! There has been volumes written on this subject of Portable Solar Power and it's not my intention to rehash information that is readily available on the 'net. 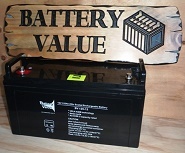 This article explores what I believe, is the easiest and most simple, cost effective way of charging your caravan battery or batteries. After all, that's what a mobile solar panel is for... supplying electricity to the Charge Controller... a battery charger. Batteries LOVE being charged! An efficient panel, coupled to a suitably matched Charge Controller, will keep your battery smiling, and happily working day in and day out, using the free light output of the sun. It's there... it's Free... use it! Adding Solar Panels To Your Caravan For (Almost) All The Power You'll Need! Free Camping is so popular these days, that many caravan manufacturers are building their new vans pre fitted with solar panels and deep cycle batteries. Many more list them as "Solar Ready" or "Wired for Solar". When we ordered our new van in late 2012, we didn't require panels fitted, as we had two brand new 130w panels ready to go on. We did, however, stipulate Wired for Solar. In our case, that meant all the wiring was there, to be able to fit the panels later on. It ran from under the roof sheeting, terminating at the Electrical Board near the battery. I had the solar guy from Positive Batteries come out and fit the panels (pic above). The manufacturer provides paperwork showing where to pick up the wiring on the roof. Now of course, not everyone has a new "Solar Ready Van" and not likely to get one. So what do you do if you have an older van without solar wiring provision? Well, you could spend hundreds and hundreds and fit fixed panels to the roof, but then you've got the challenge of routing the wires to the charge controller and on to the battery, without it looking like a hen scratch. Besides, fixed panels are not the ideal situation, because they don't track the sun. In our case, to compensate for this, we used more capacity than we normally would need. The ideal solution, I feel, is to get yourself a good portable folding panel. If you listen to the salesman, he'll want to set you up with an expensive system, probably more than you'll need. At the end of the day, all you really need, is a system that will comfortably replace the power you use. For most 'vanners, who run their van fridge on gas while Free Camping, their only power requirement is the LED lighting, a 12v TV, perhaps a fan and maybe charge the phone or laptop. 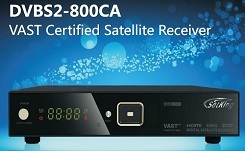 And if you have Satellite TV, 12v Decoder Boxes are readily available. A 120 - 140watt panel, positioned correctly, should output 8.5w to 9.5w and should be plenty to charge a 120 - 140AH (amp hour) Deep Cycle Battery. Of course, the size (output) panel you'll need, will be governed by your actual power requirements, which will be governed by your battery capacity. You need to match the battery/ies to power usage and then match the panel to the size battery. Well, that's about as simple as it gets. You can go crazy and expand from there if you really "need" to, but do you really need more? That's something only you can decide! 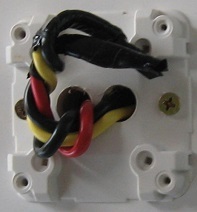 Solar wiring terminates at Junction Box on electrics panel. (box with cover removed) The Charge Controller is wired here. Modern 12v TVs use very little electricity. Compact 12v/240v low power draw - good.